Break out the bubbly...it's time to celebrate! 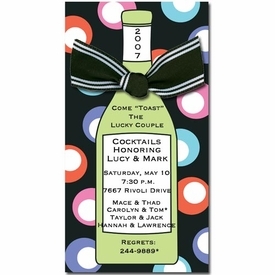 This invitation will be great for that grown-up party or celebration, complete with black and white bow tie added to the bottle neck. CLOSEOUT...only 2 sets left!